Fence along Gaza border to be built above underground wall, spanning 40 miles. 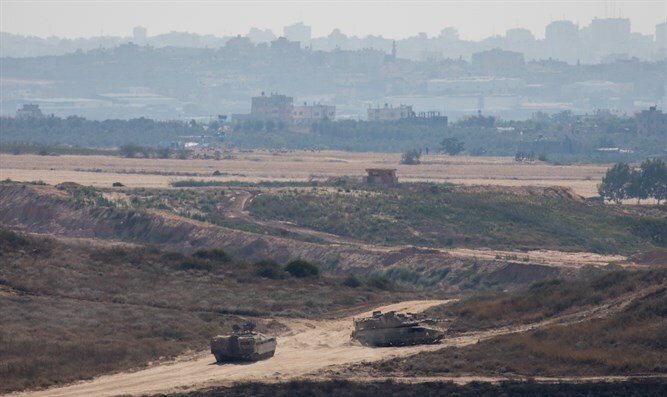 The Defense Ministry announced Sunday that work had begun on a new barrier on the Gaza border. The new fence is being built above the underground wall designed to block the construction of terror tunnels from Gaza. The fence will be nearly 20 feet tall and 40 miles long. “Over the weekend we began building the above-ground barrier along the Gaza border. The barrier will prevent terrorists from Gaza from penetrating into our territory on the ground,” Prime Minister Netanyahu said during the weekly Cabinet meeting Sunday. Work on the fence began on Thursday, according to the Defense Ministry's statement. In addition, a new barrier is being constructed in the Mediterranean Sea north of Gaza to prevent the infiltration of terrorists from Gaza by sea. The new fence will extend until the sea barrier.